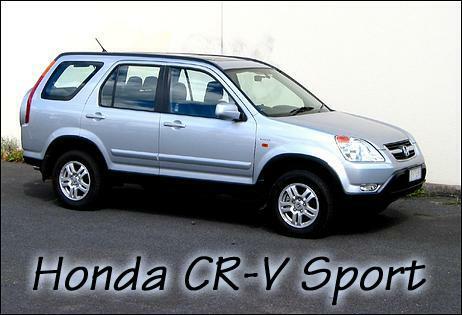 The Honda CR-V has been a success story - more than a million have been sold worldwide since its 1996 launch and it has become one of Honda Australia's best sellers. Now a new CR-V has been released, featuring a larger engine, more interior space and revised styling. But with the excellence of recently released cars like the Nissan X-Trail and the new model Subaru Forester, how does the CR-V stack up? In short - very well. The standout features of a comprehensive package are the engine and transmission, and the interior practicality. Let's start with the engine. 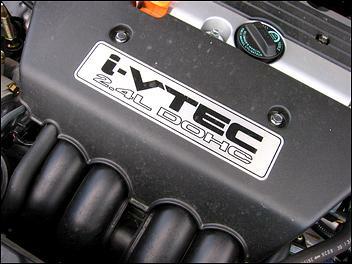 It's a 2.4-litre four cylinder, featuring an alloy block and head and "i-VTEC" control of its 16 valves. While the myriad of different Honda VTEC systems can become quite confusing, this version is aimed at creating a broad spread of torque, rather than a sudden jump to high rpm, rip-snorting power. The intake camshaft timing is varied steplessly over a 50-degree range, while during low-rpm operation only one of each cylinder's two intake valves is opened. The latter creates a very strong swirl affect, aiding combustion. At higher revs both intake valves are opened. The transformation from 12-valve to 16-valve status isn't accompanied by any sudden change in power or engine note - it's a sophisticated system which transparently adjusts to suit the driver's requirements. The result of this technology is an engine which develops 118kW at 6000 rpm and a strong 220Nm of torque at 3600 rpm. (However it should be noted that the X-Trail's 2.5-litre four easily beats both of these numbers.) Even tied to an auto trans as was the case in the test car, the CR-V never feels slow or breathless. In fact, there's enough torque to momentarily spin the front wheels when the throttle's stabbed off the line - an impressive amount of response given the car's near 1500kg body mass. Beautifully matched to the engine is the new automatic trans. Despite being only a four-speed, its ratios and computer logic keep the car on the pace - whether it's crawling through traffic or passing other vehicles on the open road. As we also found with the big six-cylinder Odyssey, Honda really have their trans logic worked out beautifully - the transmission will down-change to aid engine braking and resists hunting when climbing hills. It is also carefully programmed to take advantage of the engine's flat torque curve: there won't be any down-changes that suddenly have the engine way up near the redline. When you also consider that the CR-V is an LEV (an official US low emission vehicle) and that the AS2877 fuel economy figures are 9.5 and 7.2 litres/100km, the engine/trans combination is a very good thing. The Honda approach makes the car feel very much a front-wheel drive. In addition to the aforementioned squealing front tyres when the car is accelerated hard from a standstill, power understeer is quite pronounced. Unlike the X-Trail (which will already be in four-wheel drive when it sees much throttle being used) or a Subaru (which is always in viscous-coupled four wheel drive) the CR-V noticeably lacks the reassuring all-paw grip that you might expect from a car sold as a four-wheel drive. After all, a near 1500kg car poised 205mm high above the road needs all the cornering grip it can get... Certainly, the CR-V's system does finally react, but often in the cut and thrust of bitumen road manoeuvres it will be too late to have a major input into the car's handling behaviour. Off-road? Well, we didn't have an opportunity to try it but we'd expect the same criticisms to hold true. This model changes the front suspension design from double wishbones to a toe-control MacPherson strut design - Honda say that there is no degradation in front wheel dynamic geometry with the change to the less well regarded system. At the back the double wishbones stay in place for this model. 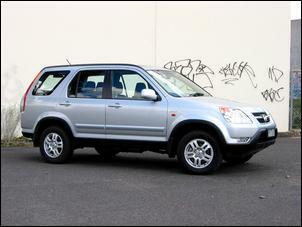 Rolling on 205/70 tyres worn on alloy rims, the CR-V rides very well. The steering is a little slow around centre (which may well be an effect of the relatively high profile tyres) but on the road the car is a quite good package. 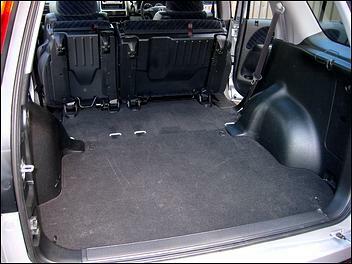 The spare wheel is mounted on the outside of the rear door, so the space beneath the floor where normally it would live has been adapted to become a plastic-lined storage area, suitable for wet clothing if required. To access it you lift a large square panel, which can in turn be easily removed. Legs fold down from the panel, quickly metamorphosing it into a solid and practical picnic table. It's a great design with no trade-offs. The inside of the rear door has a deep storage compartment - one of the 20 scattered around the cabin. If more load space is required, the rear seats can be (individually!) slid forward on runners by up to 170mm, while their backs can also be tilted forward on a 60:40 split to lie flat on the squabs. But even better than that is that these assemblies then fold up against the rear of the front seats, creating a huge flat-floored area. Honda claims that this space "can accommodate two full-size mountain bikes in an upright, secured position without having to remove the rear seats" - and we're not doubting them. It's probably one of the most useful compact configurations this side of a Mercedes A-Class. And that load area practicality isn't at the expense of normal passenger carrying, either. The rear seat backs can independently recline by up to 45 degrees, and even in a normal upright position give the rear occupants plenty of head-, knee- and toe-room. 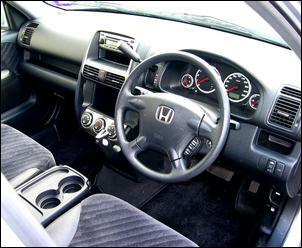 The rear centre passenger has a lap-sash seat belt and their own head restraint (which badly blocks the driver's central rear vision) but three adults in the back wouldn't be all that comfortable so it's best to regard the CRV as suitable for at the most four adults and a child, or two adults and three children. The auto trans gear lever and handbrake sprout from different positions on the dash, keeping the between-seats front space clear to allow walk-through access (for small people!) to the rear. 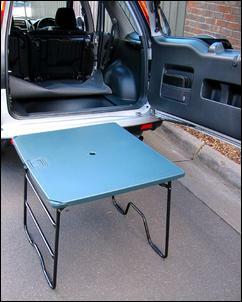 (The cupholder and oddments tray that is between the front seats folds down out of the way.) While the handbrake looks straightforward to use, in practice it is hard to apply enough leverage to engage it firmly - and once it is put on tightly, it can be very awkward to release. The trans lever is also a bit of a problem - in addition to it feeling a little flimsy and imprecise, it's very easy to bump it when reaching for the CD/radio controls. The radio is positioned high on the dash but without steering wheel repeater controls, it's a long reach away. The other controls are clear and simple to operate - the sunroof opening and closing system, for example, is quick and easy. Overall, the CR-V is an impressive vehicle. 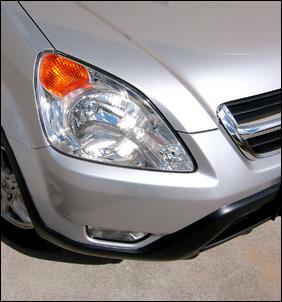 It's practical and capacious, has an effective engine and auto transmission, and generally rides and steers well. But is it a better car than its opposition? In some areas, it clearly is, while in other areas, perhaps not. But it's a definite to try before you buy, that's for sure. 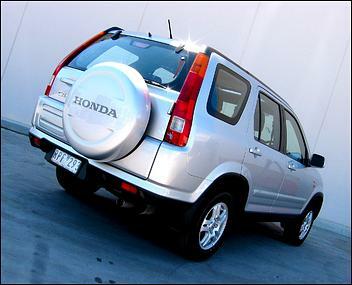 This vehicle was supplied for this test by Honda Australia.